Fraport AG's most profitable and fastest growing division is its subsidiary in Greece, which holds a 40-year concession for 14 regional airports, all serving top travel and tourism destinations, naftemporiki.gr reports. 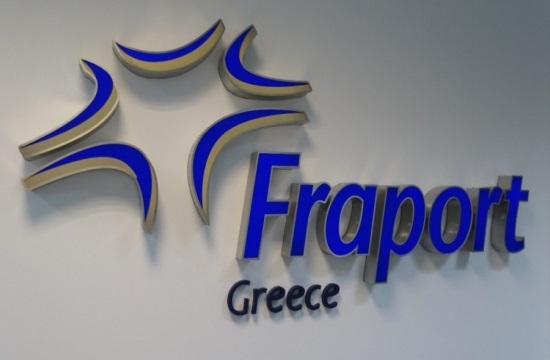 Fraport Greece, of which the German-based company controls 73,4 percent - with the remaining stake owned by the Athens-based Copelouzos group - in 2018 posted 414.8 million euros in revenues , an increase of 76.6 percent (yoy). It commences its management of the 14 airports in April 2017. EBIT reached 101.3 million euros in 2018, up from 84.9 million euros in 2017. "In March 2018, Fraport Greece launched an expanded market research program at all 14 airports. Based on these survey results ... in summer 2018, all airports received overall grades, despite on-going construction, of better than 3.00 (on a scale of 1 to 5, where 1 is very poor and 5 is excellent). The three top ranked airports were Rhodes (4.06), Aktion (3.94), and Kefalonia (3.86). "Fraport also operates the airports on Corfu, Chania (Crete), Kavala, Thessaloniki, Zakynthos, Mykonos, Skiathos, Santorini, Kos, Mytilini (Lesvos) and Samos. "With just under 29.9 million passengers in the 2018 fiscal year (+8.9%), the sites benefited to a great extent from the appeal of Greece as a tourist destination. At nearly 77%, the high share of international travelers demonstrates the importance of Greece as a holiday destination. "Passengers from Great Britain represent the largest passenger group at approximately 23%. Based on passenger numbers, Aegean Airlines/Olympic Air is the largest airline at the 14 airports with a passenger share of 19.6%, followed by Ryanair with 11.6%. EasyJet is the third largest with a market share of around 5.7%. "The 40-year concession agreements budget for capital expenditure of approximately €400 million on airport infrastructure in the first four years. "Most of this will be spent on a comprehensive expansion and extension project. Five new terminals will be built, and six terminals will be expanded at the sites. A priority area is also expanding the shopping and services offers. The first airports where the investment measures will be completed in 2019 are Chania, Zakynthos, and Kavala. "Upon completion of the capital expenditure measures at the respective airports, Fraport Greece will increase the airport charges per passenger from €13 to €18.50."